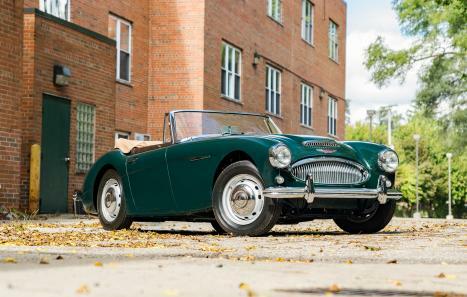 The example on offer here is a 1964 Austin Healey 3000, chassis number HBJ8L25663 and engine number 29KRUH452. This is a Phase 1 example with seldom seen early MKIII features and is a numbers matching car per the included BMIHT certificate. According to the certificate, the car was built between December 23'rd and 31'st of 1963 and dispatched January 15th, 1964 to Compton California in the United States. When it originally left the factory it was finished in Colorado Red with a Black interior and top. It was also fitted with wire wheels, heater, adjustable steering column, black tonneau cover, overdrive, and roadstead tires. As the car currently sits it is finished in very appropriate english colors of British Racing Green with a tan interior and top. The car currently also sits on a set of excellent, period optional Dunlop steel wheels, a nice change from the standard spoked wheels. As far as history on the car goes, it was delivered new to California where it spent most of its life until about 2010 when it was purchased by the current owner as a California blue plate example still wearing its original colors. 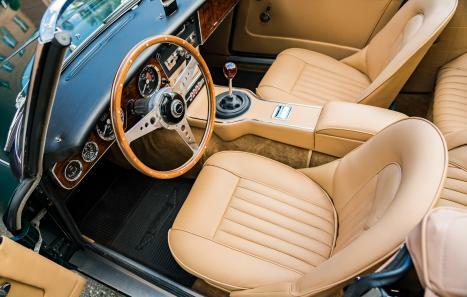 The current owner decided to undertake a restoration of the vehicle and decided on the current color scheme. The restoration was extremely detailed and done to the highest standards, thoroughly documenting the entire process with every receipt saved and recorded. The car was stripped down to the chassis and built back back up utilizing all new, refurbished, or NOS components. 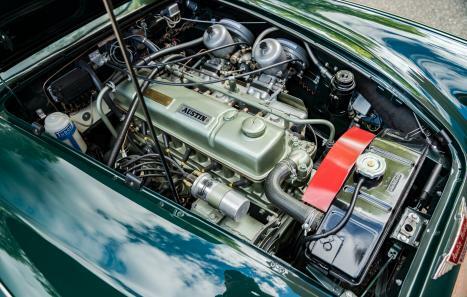 The restoration was completed about a year ago and minimal miles have been put on the car since. 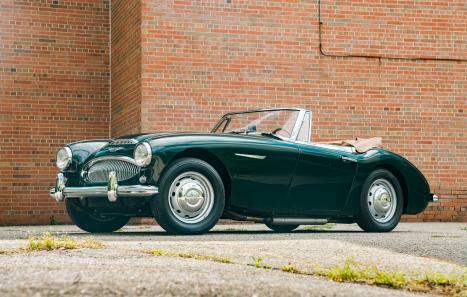 Included with the sale of this car is the BMIHT heritage certificate, tools, spare, jack and documentation.